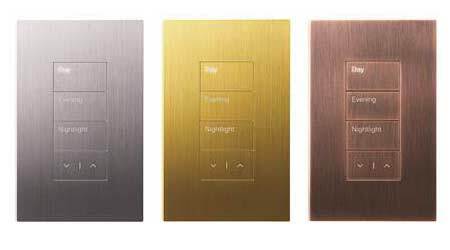 Palladiom QS features flush buttons and faceplates made of the same material — plastic, glass, or metal — for a coordinated aesthetic. The keypad’s customizable button layout and programming accommodates virtually any function. Features large, tactile buttons with backlit, engraved text. Backlight intensity adjustable.